Are You Trainable? Then Gout Killer Training Is For YOU! Ready To Get The Goods And Put Gout Behind You Once And For All? Then the Gout Killer Training is for you! Yes, the best way to shrink that gouty big toe . . . is by expanding your brain! If you are serious about killing your gout, you need some training. It was Einstein who said “The definition of insanity is doing the same thing over and over . . . expecting different results.” So if you want a different result (no more gout) you gotta do something different. GET TRAINED to become your own Gout Killer. 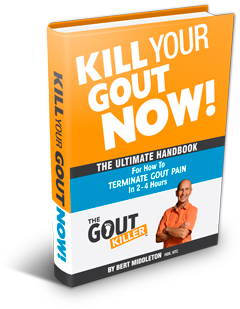 Get one my Gout Killer Trainings below and get ready to say hasta la vista baby to your gout! Are you in miserable pain right now? Do you want to make your gout attack go away in 2-4 hours? If so get this handbook immediately, where I give you my “secret formula” for how to Terminate Gout Pain in 2-4 hours . . . combining 3 common grocery store items you might already have at home! 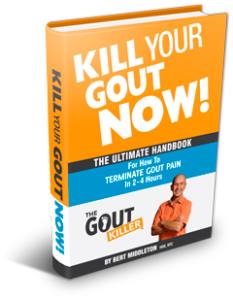 The Ultimate Handbook For How to TERMINATE GOUT PAIN in 2-4 Hours. 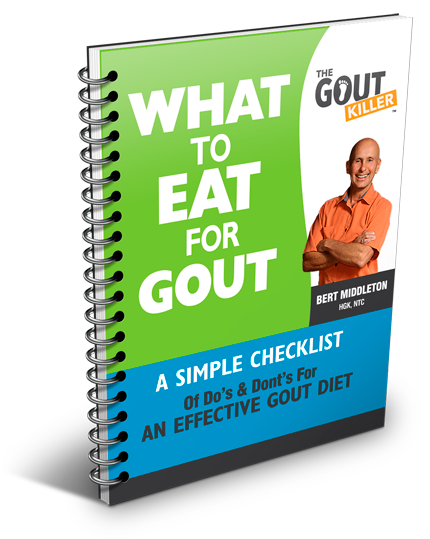 Kill Your Gout FOR GOOD. Is Gout Ruining Your Life? 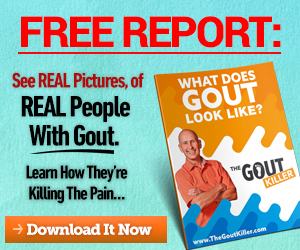 Are you absolutely SICK AND TIRED of gout and you are seriously ready to do some PERMANENT gout killing? Right on! Lets do it! 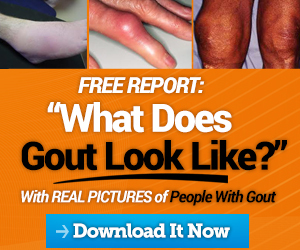 The World’s Best Online Program Showing You How to NEVER GET GOUT AGAIN.